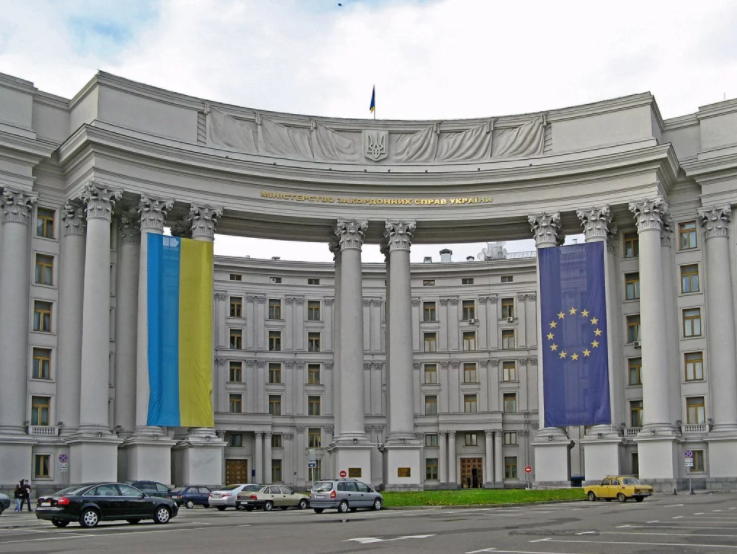 Laszlo Pap, the Charge d'affaires of Hungary to Ukraine was called to visit the Foreign Ministry of Ukraine as the department wanted to express the protests due to the number of the unfriendly statements against Ukraine as the press service of the Foreign Ministry reported. The inadmissibility of the last statements of Hungarian Prime Minister Viktor Orban against the Eurointegration and Euro-Atlantic aspirations of Ukraine, which "notably preserving the policy of the European Union and greatly reflects the approaches of the country-aggressor" was noted. "Also, the note with demand to provide the official explanation was passed to the Hungarian diplomat due to the decision of the Hungarian government to create the post of the Authorized Minister for development of Zakarpattia region and development programs of the kindergartens of the Carpathian Basin as a part of the sovereign territory of Ukraine included in the jurisdiction of a minister," the message said. The Foreign Ministry emphasized that the actions of Hungary show the direct interference in the interior affairs of Ukraine. Earlier Prime Minister of Hungary Viktor Orban offered Romani to join the efforts for the further economic growth and strengthening of the defense capability of the state. Moreover, he noted that "it is possible to develop the Carpathian region only acting jointly, on the basis of the mutual respect."